Jetlag Genie. Jetlag App. Jet Lag Fighter. They all do the same thing, right? Why should you trust your wellness to Jetlag Pilot? The New Media Institute motto is, “Make something work, then make it work better,” and as New Media students, we are innovators, not inventors. So what needs to be improved about these apps? In our research the overall consensus was convenience! We can’t all go to bed at 8:00am and take four naps during our trips abroad. We’ve got schedules–places to go, people to see! And we know you do too. 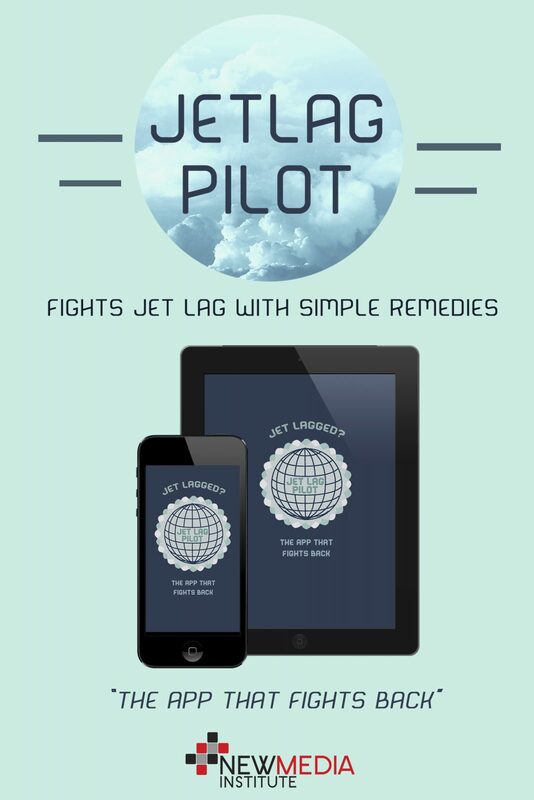 Jetlag Pilot is tailored to flexibly fit into a schedule by manipulating factors that are easy for you to control. Innovations, you say? What’s easier to control than what you put in your body? Studies suggest that your internal clocks can be adjusted by changing eating habits. By adjusting meal times, you can create a new internal clock in order to cope with time shift change. Jetlag Pilot uses this information to not only suggest remedies based on light-dark cycles, but also based on food intake!